If studying insects would lead you to suppose that God had an “an inordinate fondness for beetles”, studying the pre-human avifauna of the Pacific would lead you to conclude that God was also quite partial to rails. Pretty much every major island, and many smaller ones, had an endemic rail or two. They were descendants of flighted mainland ancestors which managed to get pretty much everywhere, from tropical atolls to windswept frozen rocks, in most instances losing the ability to fly afterwards. How many species there were is probably lost to history, but there were certainly many hundreds. Sadly, as I’ve explained before, most of these species became extinct as humans arrived on the islands, and with it one of the most astonishing radiations of birds imaginable. And yet… if you go to the Pacific today, in many places, you’ll still see rails. I certainly did when I visited the two southern islands of Tonga a few years ago. The islands of Tongatapu and ‘Eua are not classic birding destinations, as the extinctions that so devastated the rails took a heavy toll on the other birds originally found there. The two endemic species found in Tonga are not found in these islands, and the other species present are also found on more traditional destinations of Fiji and Samoa. I wasn’t there for birding per se, just a chance to get away from New Zealand’s winter in a sunny tropical island. That said I certainly did do some birding, and saw some great birds, one of which was the Buff-banded Rail (Gallirallus philippensis). 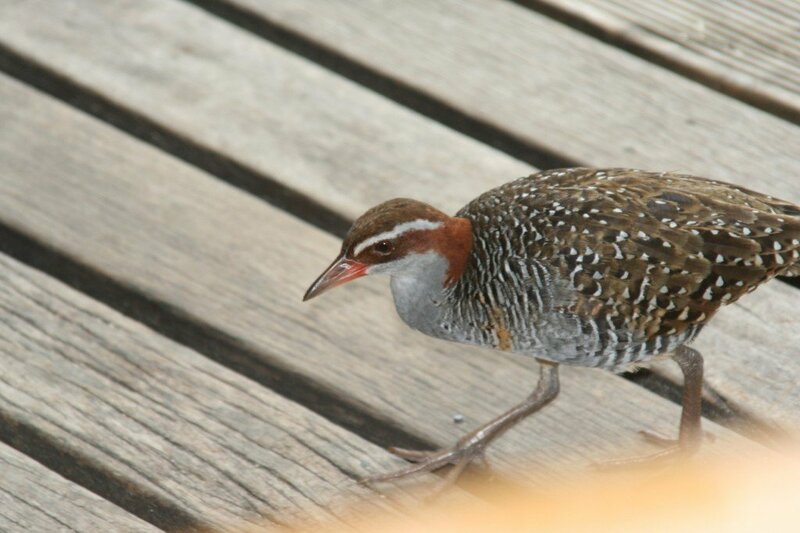 The Buff-banded Rail (simply Banded Rail here in New Zealand) is something of a tramp, ranging from the Philippines through New Guinea and Australia to northern New Zealand. 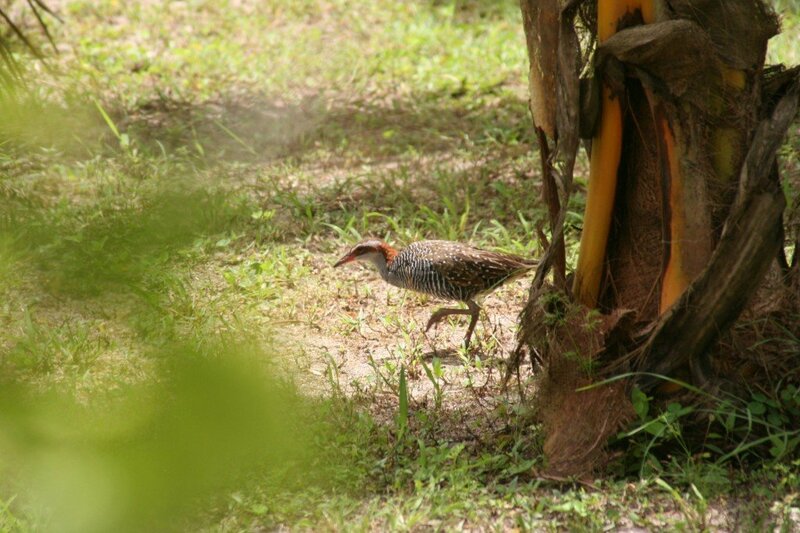 It is an impressive disperser, and is thought to be the ancestor of many of the insular rails that went extinct across the Pacific, like the Wake Island Rail, and some of the surviving species, like the Lord Howe Woodhen. 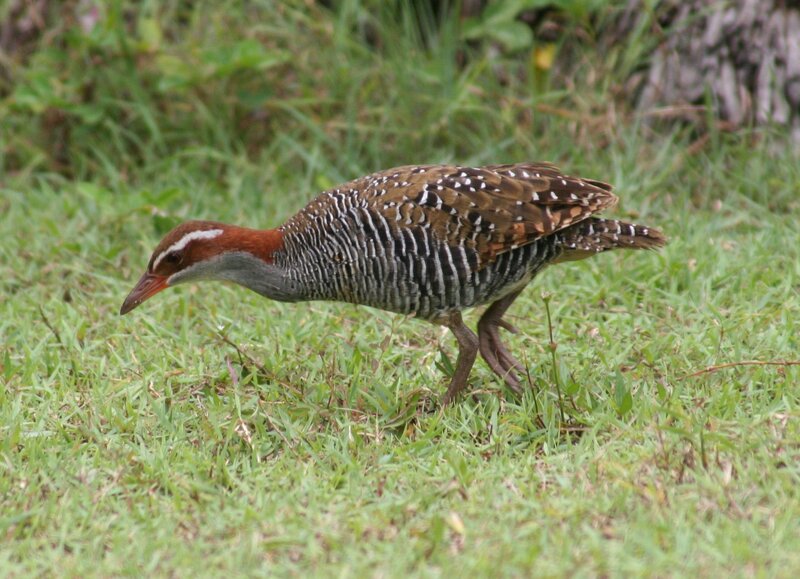 And it is found in Tonga today, darting across the road being the usual view you’d get of these small rails. But here’s the thing. It didn’t used to be. Southern Tonga had its own flightless Gallirallus rail (an undescribed species). 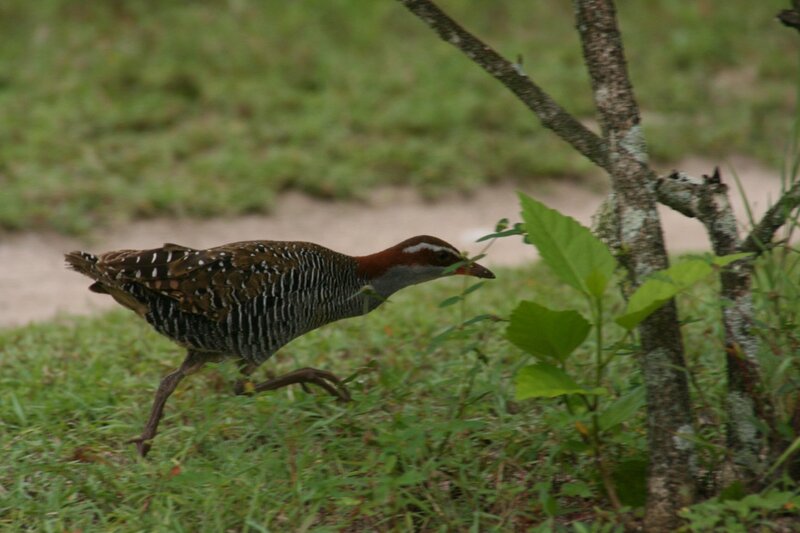 The fossil record of the islands don’t show the Buff-banded Rail appearing until after humans arrived. It is doing what it has always done, colonising an empty (niche-wise) island. And it didn’t just do it in Tonga, it seems to have done it in New Caledonia and very recently in an atoll in Tulavu. The rails of the Pacific may be mostly gone, but the processes that led to the radiation, the super dispersive birds, the dozens of islands open for colonisation, are all still in place. Seeing Buff-banded Rails in Tonga is harder than seeing the extinct species would have been, as they have not lost the wariness that keeps the family often highly cryptic. But where predation pressure is minimised they can become habituated, and on one of the smaller islets of Tongatapu, now a fancy resort, they are very tame and approachable. What you typically see in Tonga, dashing around! And they get fairly close to you! This guy came under our table while enjoying lunch. So all birders have to do is tick Banded Rail on all the islands, then retire to their armchairs for 500,000 years and wait for the splits. Where Are You Birding this Second Weekend of June 2009?